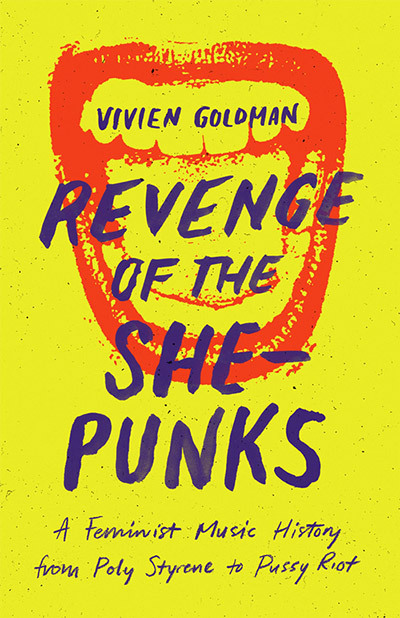 The colorful "Punk Professor", new-wave musician, and critic/filmmaker spins a dazzling survey of women in punk, from the genre's inception in 1970s London to the current voices making waves around the globe. 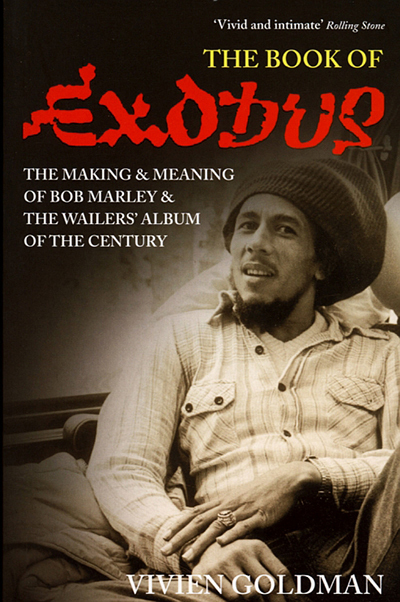 In this dense but well-written work, veteran journalist Goldman examines the cultural, political and violent roots of Bob Marley's classic record Exodus. Goldman is undeniably as intrepid and insightful as music journalists come—and this effort clearly required every ounce of her talent. In setting the stage for what would become Marley's masterpiece, she reached beyond the Exodus sessions themselves into the early history of Marley and the Wailers, into the hornet's nest of Jamaican politics and the island's international history and African history, as well as the mystical, often contradictory, tenets of Rastafarianism. It is all necessary background for what made Marley both the searing performer he was and the iconic figure he would become—a fame that would nearly kill him. Just days before a planned free concert in 1976, Marley, his wife, Rita, and Don Taylor were wounded by gunmen, forcing Marley to flee to London, where Exodus was recorded. This is no pop music hagiography but a brimming, tightly constructed examination not just of Marley's life and music but of human nature itself and the struggle for freedom. The more casual fans of Marley may not follow; those who do will see deeper into the man and his music than ever before. A celebration of Black music in original photography and text. The Black Chord bridges the boundaries between blues, rock, funk, jazz and world music. This lavishly illustrated book makes the historical, social, personal, and creative connections between great Black musicians from around the world. Tracing the history of today's music, it delves into the ancestral source that will continue to enrich the pop charts in the future. Organized by themes such as Roots & Culture, Heart & Soul, Revolution, and Explorers. The Black Chord celebrates the idea of a musical thread that travels throughout the world expressing a sensibility unique to each region. This thread weaves through every place, changing its culture and music. In this comprehensive and unprecedented survey compelling portraiture is combined with a fascinating history, including highlights from the author's interviews with such luminaries as Bob Marley, Missy Elliott, Cassandra Wilson, Curtis Mayfield, and more, to create an insightful, in-depth volume. 'The Black Chord a landmark depiction of the cultural cross-fertilization that is the foundation of today's pop. Following a circular path, music has traveled from its return and recreate itself: Senegalese rhythms survived slavery and flourished in New Orleans to become jazz and rhythm & blues which informed Jamaican reggae, which influenced New York hip-hop, which in turn-completing the circle-inspired young rap artists in Senegal. This is a centuries long saga that continues to energize musicians in every genre. 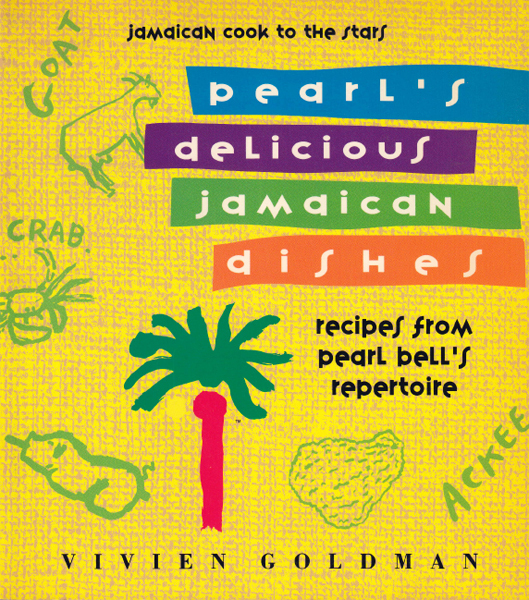 All the verve and spice of Caribbean cooking are reflected in the glorious recipes of Pearl Bell, whose culinary powers have been extolled by a host of stars from Mick Jagger to grace Jones. Here are starters that really fire the appetite, from Jamaican patties (no mere burgers!) to crisp fish fritters; a surprising range of vegetarian dishes; chicken cooked with curry and coconut; a fiery pepper steak; plus all the seafood delights that made Pearl a culinary star - fried conch fillet, turtle cutlets, traditional Jamaican Easter fish, and Pearl's justly award-winning conch pie. Pearl's Delicious Jamaican Dishes: Recipes from Pearl Bell's Repertoire also offers a wonderful island desserts and a host of Caribbean mixed drinks and punches, both spiked and non-alcoholic. Copyright © Midwest Book Review All rights reserved. Lively and vivid, this steamy film noir novelization of the extravagant, risque lives of tropical funksters KID CREOLE and the COCONUTS tells the uncut, intimate story. More real than a regular biography. Writer Vivien Goldman saw - and bares - it all. A celebration of Black music in original photography and text. The Black Chord bridges the boundaries between blues, rock, funk, jazz and world music. This lavishly illustrated book makes the historical, social, personal, and creative connections between great Black musicians from around the world. Tracing the history of today's music, it delves into the ancestral source that will continue to enrich the pop charts in the future. Organized by themes such as Roots & Culture, Heart & Soul, Revolution, and Explorers. The Black Chord celebrates the idea of a musical thread that travels throughout the world expressing a sensibility unique to each region. This thread weaves through every place, changing its culture and music. In this comprehensive and unprecedented survey compelling portraiture is combined with a fascinating history, including highlights from the author's interviews with such luminaries as Bob Marley, Missy Elliott, Cassandra Wilson, Curtis Mayfield, and more, to create an insightful, in-depth volume. The Black Chord is a landmark depiction of the cultural cross-fertilization that is the foundation of today's pop. Following a circular path, music has traveled from its return and recreate itself: Senegalese rhythms survived slavery and flourished in New Orleans to become jazz and rhythm & blues which informed Jamaican reggae, which influenced New York hip-hop, which in turn-completing the circle-inspired young rap artists in Senegal. This is a centuries long saga that continues to energize musicians in every genre. An unofficial history of Jamaican dancehall music told through its graphic design, Serious Things a Go Happen brings together more than 100 original posters and signs from the early 1980s through today, drawn from the poster collection of Jamaican film and television producer and director Maxine Walters. Jamaican dancehall emerged out of reggae in the late 1970s and brought with it a new visual style characterized by bright colors and bold, hand-drawn lettering. One-of-a-kind, hand-painted posters advertising local parties and concerts have become a ubiquitous part of Jamaica’s landscape, nailed to poles and trees across the island. Over the past three decades Walters, who has been called “the queen of Jamaican dancehall signs,” has amassed a collection of some 4,000 of these street posters, advertising local “bashments” held at bars, on beaches and in primary schools. Treated by most Jamaicans as simply a fact of life, the dancehall poster has until recently received little careful, critical attention; this volume begins to rectify that with essays by Vivien Goldman, and others, alongside the posters themselves, reproduced one to a page in full color. The book also includes text and interviews with Rory Stone Love & Mikey Bennett, Denva Harris, and Tony Winkler, author of The Lunatic.